May 25, 2016 (COLUMBIA, S.C.) – Motor Supply Co. 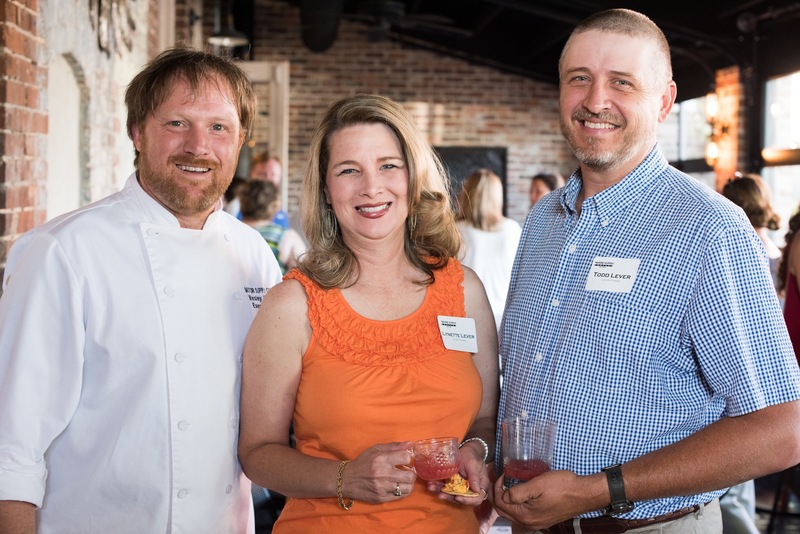 Bistro will celebrate summer in Columbia by honoring local farms during the savory, signature annual food event, Harvest Week at Motor Supply, June 7-12, 2016. The Midlands community is invited to join the farm-to-fork restaurant and 14 local, sustainable farms from across the Midlands for Harvest Week, Tuesday through Sunday, June 7-12; featuring a limited-edition, hyper-local dinner menu each evening by executive chef Wes Fulmer and a markedly innovative cocktail list by head barman Josh Streetman. Guests can kick off Harvest Week with “Meet the Farmer Happy Hour,” Tuesday, June 7, 5:30-7:00 p.m., a mixer with local growers whose products are featured on Harvest Week menus and in Motor Supply’s dishes year-round. The public is invited to attend the free event at Motor Supply to meet our area’s local farmers, and enjoy a cash bar and complimentary wine tasting by Grassroots Wine, a North Charleston, S.C.-based distributor which focuses on farmer-produced wine. Harry Root, President of Grassroots Wine, will be on-site at Motor Supply during Meet the Farmer Happy Hour to offer guests a variety of sustainably-produced wines for tasting. Root – who travels the world in search of the finest farmer-produced wines – has been working with Chef Fulmer to curate a wine tasting that will best complement the Harvest Week dinner menu. Grassroots Wine will be featured on the Harvest Week dinner menu throughout the week in recommended pairings, courtesy of Root and Stephanie Heikila, general manager and wine director at Motor Supply. Chef Fulmer will present a Harvest Week menu with locally-sourced ingredients from more than a dozen sustainable Midlands farms and local purveyors – constructed with advanced culinary techniques honed under James Beard award-winning chefs – available each night, June 7-12. Reservations recommended; dishes subject to change. Bowers Farm | organic livestock farm in Pomaria, S.C.
Cabin Branch Organic Farm | organic farm in Columbia, S.C.
Carolina Heritage Farms | heritage pork from Pamplico, S.C.
Congaree Milling Company | organic grain milling company in Columbia, S.C.
Derrick Gunter | award-winning heirloom tomatoes from Pelion, S.C.
Floral and Hardy Farm | naturally grown, fresh-cut flowers from Lexington, S.C.
Freshly Grown Farms | hydroponic greens grown in Columbia, S.C.
Hanna Hands Farm | rabbit farm in Ridgeway, S.C.
Heather’s Artisan Bakery | fresh bread baked in Cayce, S.C. Lever Farms | strawberry and vegetable farm in Pomaria, S.C. Trail Ridge Farm and Dairy | family-owned dairy farm in Aiken, S.C.
Watsonia Farms | organic produce from multi-gen family farm in Monetta, S.C.
West Ridge Farms | hormone-free, grass-fed beef from Little Mountain, S.C.
Wil-Moore Farms | free-range poultry & grass-fed beef from Little Mountain, S.C.
A cult-favorite event among foodies and curious culinary novices alike, Harvest Week is an annual celebration of Motor Supply Co. Bistro’s commitment to honoring sustainable, S.C.-fresh ingredients and the farmers that supply them. The weeklong festivities strive to bring awareness to the value of small, local and sustainable Midlands farms, while creating enticing, limited-edition dishes for attendees. Known for its artisan cocktails, refined yet relaxed atmosphere and daily-changing, chef-driven menu of sustainable, farm-to-table fare, Motor Supply Co. Bistro has been serving New World, made-from-scratch cuisine in the historic Columbia, S.C. Congaree Vista since 1989. A new, temperature-controlled outdoor patio features tables made from reclaimed, N.C. barn wood, roll-up garage doors and original, vintage brick. Reservations can be made by calling (803) 256-6687 or by visiting www.motorsupplycobistro.com.